Tourists at a beach in Phuket, Thailand, could face steep penalties for taking selfies in front of low-flying planes near the airport. Authorities could impose a lengthy prison term, fines in excess of $1,000, or even the death penalty, The Sun reported. An official with the Phuket International Airport, Wichit Kaeothaithiam, said the “maximum penalty is the death sentence,” reported the Bangkok Post. According to the Post, in a March report, a safety zone around the airport runway is being developed and will take effect in the near future. Sometimes getting the perfect selfie just isn’t worth the cost. “People and tourists will not be allowed to enter this area to take photos,” Wichit, the airport chief of the Phuket airport, told the paper. Over the years, tourists have gathered in on the beach to take selfies with low-flying planes before posting them on social media websites. Officials think posing for the photos is a dangerous activity. Wichit said that tourism and safety have to coexist. According to Fox News, officials are creating the safety zone out of fear that an influx of tourists on the beach could distract jet pilots. He said that an additional warning was issued to people living within about 5 miles of the airport, urging them against shining lights or flying drones in the area, People magazine reported. The same aforementioned penalties used to punish selfie-takers will be applied to people who fly drones or shine lights, the magazine also reported. Those rules are established under the country’s Air Navigation Act. Other details about the new regulations are unclear. How do you say SAM 7 in Thai? Cuz, hell yes, this is a good idea. Meanwhile, in Saint Martin, a Caribbean island nation, tourists are also fond of taking selfies near low-flying planes. In 2017, a woman was killed by a jet-engine blast while at the tourist attraction, reported The Washington Post. 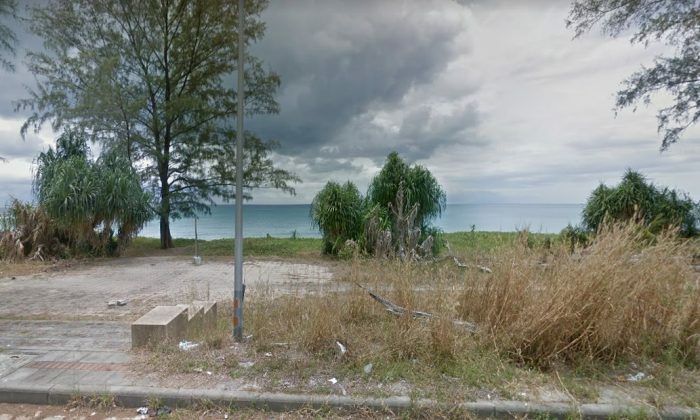 The woman, a 57-year-old from New Zealand, was standing at a fence that separates the beach from the airport runway, according to police. She was hanging onto the fence along with a few other people when the plane took off, and she was “blown away by the jet blast and was seriously injured,” police said. The unnamed woman died at a hospital shortly afterward, said officials. The Journal of Family Medicine and Primary Care said that about 259 people have died since 2011 while taking selfies. Most of the victims are under the age of 30 and about 72 percent were male, the organization said. It noted that men were more likely to take riskier photos. “Selfie deaths have become an emerging problem and we performed this study to assess the epidemiology of selfie-related deaths across the globe,” said an abstract published by the U.S. National Library of Medicine. Elaborating further, “The highest number of incidents and selfie-deaths has been reported in India followed by Russia, United States, and Pakistan,” according to the U.S. agency. “Drowning, transport, and fall form the topmost reasons for deaths caused by selfies. We also classified reasons for deaths due to selfie as risky behavior or non-risky behavior. Risky behavior caused more deaths and incidents due to selfies than non-risky behavior. The number of deaths in females is less due to risky behavior than non-risky behavior while it is approximately three times in males,” it said.